This is a terrible picture. We're on vacation. 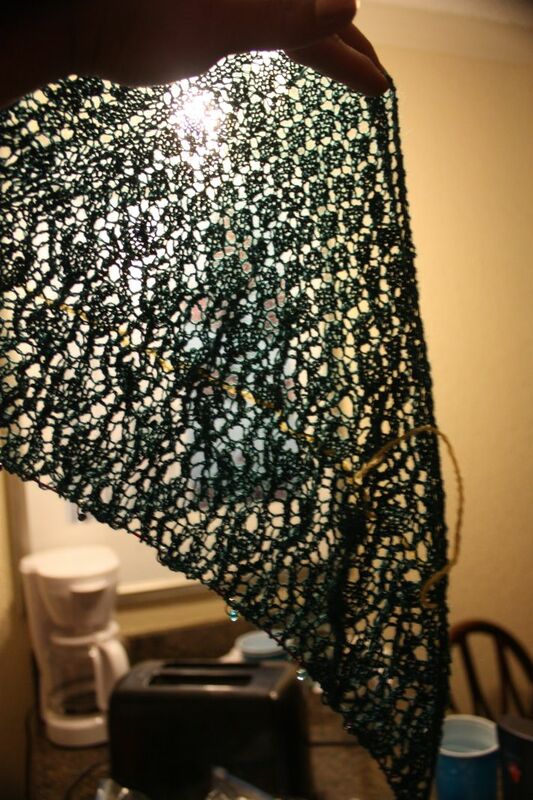 I wanted to catch the shawl between charts 3 and 4, so I took the picture late at night in the hotel room. This is the only one that is not too blurry. Moving on to Chart 4. The ocean, at least last night. 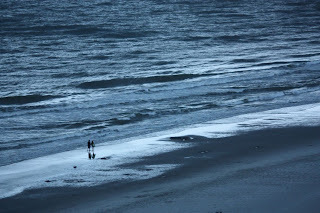 A storm was coming in at twilight, and it turned everything a beautiful shade of blue. I don't know the couple walking on the beach, but I thought it made for a romantic image. Yarn. 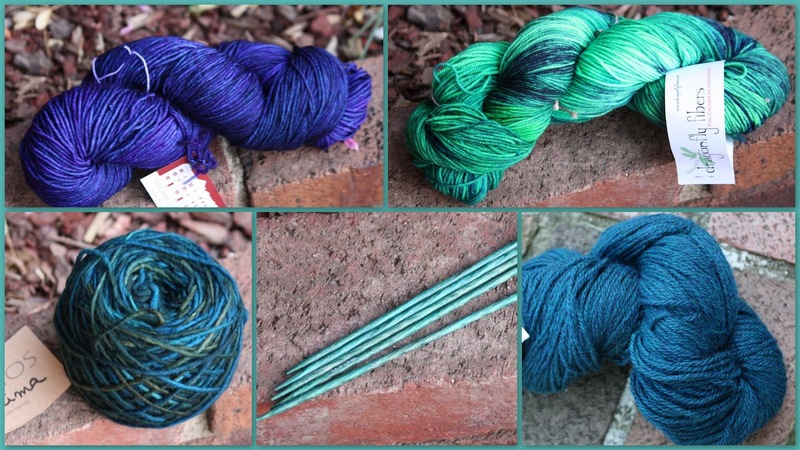 As Carole says, yarn comes in all colors, but blue is my favorite, especially when mixed with purple and green. My little iPod nano. I love this little piece of technology when I'm at the beach -- listening to lots of podcasts and books. The cover on my phone -- Yep, blue. Our minivan -- blue, yes. Vacation sky -- it has been sunny and almost cloudless -- except for last night's storm. A bathroom that doesn't yet exist -- We are in the middle of planning a bathroom remodel, and I'm hoping for blue walls. 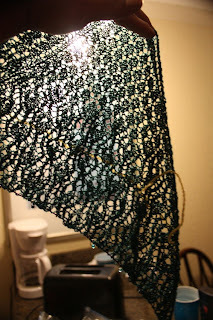 Shawl -- I brought one with me to the beach to use in the room. It's this one. Our dishes -- the set of dishes we use everyday is Fiestaware in a dark blue -- a West Virginia Company.